This month, I was invited to try out a new online asian store, Your Darzi London. 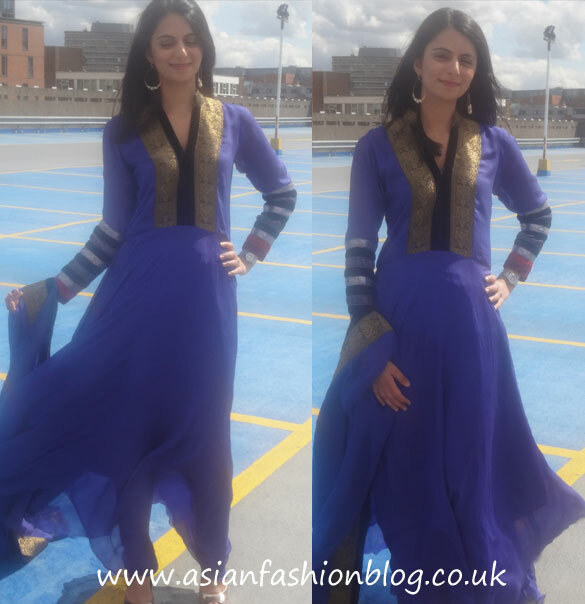 Even though I have access to whole host of Asian fashion retailers where I live in Manchester, shopping online for asian outfits has always had a certain appeal - like the convenience of being able to browse the outfits at your own leisure and upfront pricing information. Your Darzi London's aim is to be different to other online asian fashion websites, by offering Free Delivery and Free Returns to UK customers (a first in the UK online asian apparel industry) and providing not just photos of the outfits but catwalk videos too! When I was browsing the website, I was impressed with not only the videos, but the number of photos provided and the quality of the photos. I think the more information provided the better - I've come across online stores which expect you to buy an outfit based on just a single photo! Other information included on the product page to help you make sure the outfit is right for you and to help you pick the right size includes what size the model is wearing and the garment specifications. "We want to change the perception of online shopping for asian outfits, as typically, the fitting of asian outfits can be hit or miss. So why should a customer buy and then have to foot the return bill?" 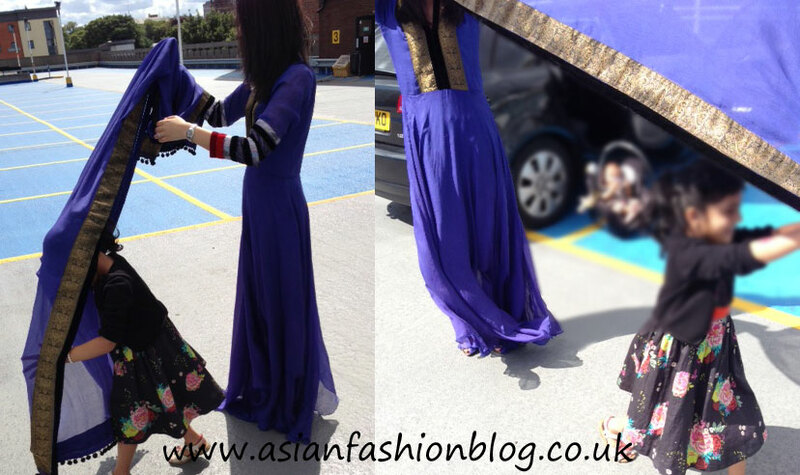 The first outfit (on the left), Fawn Kali with Black Resham at £85 reminded me a lot of this outfit by Umar Sayeed. It was the long flowing elegance of the second outfit (in the middle), Cream Gown with Green Satin at £139, and the third outfit "Blue Collar Gown" at £139.99 appealed to me. Deciding I had too many light coloured outfits in my wardrobe already I went for the "Blue collar gown", which as the picture shows, is more of a purple colour. Outfit chosen, I had intended to send my measurements to have my dress "custom fit" although I didn't have time to get measured up and decided to take my chances with a size 8/34. This is the first asian clothing retailer I've used who sent a garment bag like this, and it came in really handy for the next wedding I was attending which included an overnight trip. The dress was well put together and I didn't have any concerns about the stitching coming apart or anything like that (unlike the last dressy asian outfit I bought!). I usually like to have a zip in my outfits to make them easier to get on and off, and even though this outfit didn't have a zip, there was no struggling when it came to changing in and out of it. My bad posing aside, I really like how the outfit looks in these non-posed photos taken whilst playing around with my niece! 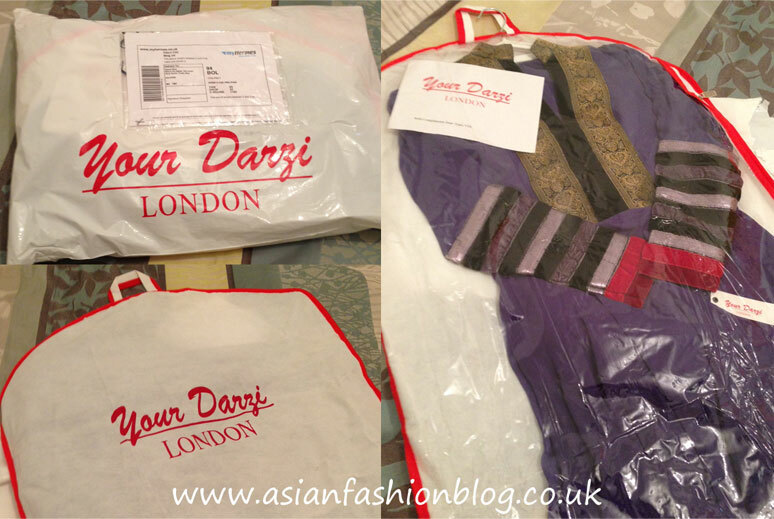 Overall, Your Darzi London gets a big "thumbs up" from me in terms of the online shopping experience and the quality of the outfits themselves. 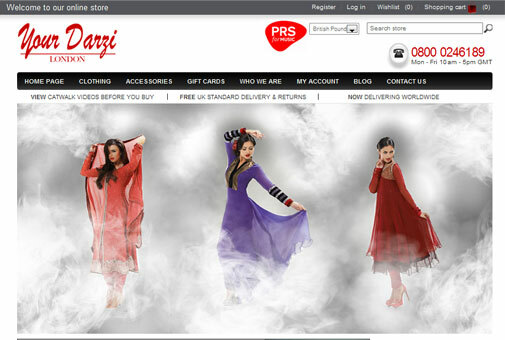 Their product range starts with casual outfits from just £27 to the more heavily embroidered outfits at £369. 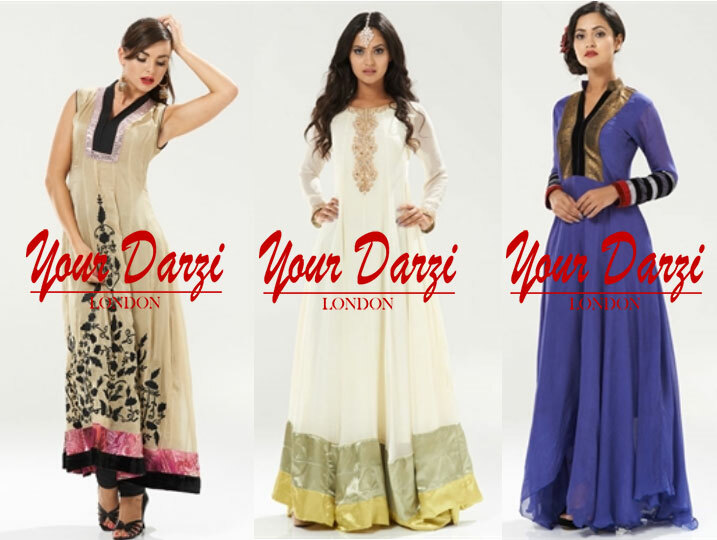 Visit the Your Darzi London website here and check out their Facebook page for updates.